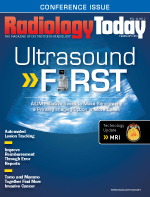 Radiology groups often find it difficult to carve out time for long-term strategic planning amid the relentless demands of day-to-day operations. Yet stepping back to identify and develop solid business objectives never has been more important. Reimbursement continues to decline while costs continue to rise. Powerful new competitors have entered the marketplace. Healthcare reform and the sluggish economy bring new uncertainty. Such converging market forces make it imperative that practices adopt a more proactive stance toward business planning. Simply accepting the status quo or allowing circumstances to dictate the course of events can be a formula for failure in today’s unforgiving business environment. Although many groups attempt to address long-term planning in regular board or executive committee meetings, these gatherings generally make for ineffective planning venues. Such regular group meetings typically focus on the most pressing immediate operational or housekeeping concerns. They also tend to be too short to allow for effective identification of strategic challenges and opportunities. After hashing out solutions to immediate issues, there’s often little energy to pursue longer-term planning issues. In addition, the exclusion of nonboard members, along with the hierarchical nature of the board, can impede a free and open exchange of ideas that could help the practice. A better alternative is establishing time dedicated to collectively identify two or three primary practice goals and create action plans to achieve those goals. The process can instill a powerful new sense of purpose, direction, and confidence in both individual radiologists and the practice as a whole. This article describes eight steps to help your radiology group incorporate effective strategic planning into its practice. Selecting an appropriate facilitator is an important first step in strategic planning. An external facilitator is essential for guiding the process. Relying on a group executive, manager, or radiologist to spearhead the effort more often than not will be counterproductive because practice leadership may be too close to the business to perceive issues objectively. In addition, using an outside facilitator will help ensure that one or more individuals will not dominate the planning session or pursue an agenda that may not have the support of the group as a whole. The facilitator should have a track record of leading planning events in addition to experience in healthcare. Many nonhealthcare consultants may be highly skilled at coordinating long-term planning meetings, but without a healthcare background, they will be at a major disadvantage when it comes to leading discussions about operational issues. When selecting a facilitator, practices should ask for a written description of the process the consultant will follow, including what, if any, follow-up is planned, as well as references from previous healthcare clients. Whenever possible, strategic planning meetings should be held away from the worksite. The office and hospital settings present too many distractions, and their familiarity may inhibit creative, out-of-the-box thinking. The planning session may be paired with a recreational activity as long as the primary focus of the event is the strategy session. In some cases, a full day may be required to complete the work session. Holding the strategy meeting at a local hotel with conference facilities can help maximize attendance by allowing on-call or on-duty radiologists to attend portions of the meeting. Because preparation is the key to a successful event, radiologist feedback, ideas, and opinions should be solicited well ahead of the event. Develop a brief questionnaire that focuses on specific issues or concerns facing the group. In addition to the questionnaire, radiologists should be asked to list three to five strengths, weaknesses, opportunities, and threats (SWOT) facing the practice. This information helps establish a framework for discussion by quickly identifying areas of consensus regarding the business and local market. Both the questionnaire and SWOT query should be accessible via the Internet to facilitate rapid turnaround and should be sent out at least three to four weeks before the event. Importantly, the document should clearly state that the author’s identity will not be disclosed at any time. To best help the practice, the facilitator needs to have a solid, historical understanding of the practice, market, and specialty as a whole over a three to five year period. Information relevant to the practice includes W-2 information, revenue and profit trends, payer mix, referring physicians, and hospital relationships. A market assessment should include an evaluation of existing and emerging competition, underserved geographic areas, top payers, and major self-insured employers. Overall trends in radiology, including Medicare and Medicaid reimbursement challenges, state legislative issues, and consumer trends, also should be identified. Taken together, this background information provides context for the strategy discussion. At the outset of the planning event, the facilitator should establish ground rules for the discussion. Basic rules would include maintaining focus on the task at hand and on the overall agenda, and refraining from personal attacks and interruptions. To be effective, the facilitator needs to foster a collegial environment in which all participants feel comfortable sharing their ideas and concerns. If one or two individuals are particularly vocal or opinionated, the facilitator must draw others into the discussion to ensure that all viewpoints are heard. The facilitator’s review of the practice’s current state and local and macro market trends provides a backdrop for discussing issues that emerge from the radiologist questionnaire and SWOT analysis. If the meeting preparation has been thorough, a consensus should emerge regarding the key issues or concerns facing the practice. Radiologists may also use the discussion period to collectively brainstorm to develop a clear mission statement for the practice. Based on the advance information and discussion, the participants should establish the two or three most important goals that the practice must focus on in the weeks, months, or years ahead. These goals may be short- or long-term depending on the practice’s needs and circumstances. One example of a short-term goal would be deciding to hire several additional radiologists within six months; a long-term goal could be to secure two additional hospital facilities to provide coverage for over the next three years. It is imperative that complete consensus be reached among participating radiologists about the selected goals, regardless of the nature or time horizon of the goals. Limit the goals to two or three. Too many objectives will dilute the group’s focus and reduce the overall chances for success. If there are more items that could be goals, decide which ones will be pursued first and which will be set aside until later. With the goals clearly delineated, create an action plan to pursue them. An action plan consists of a list of steps necessary to achieve the goal. For example, the previously mentioned goal of securing two additional hospital contracts in the coming years requires several steps to achieve it. Who will lead this goal? How will the group pursue contracts? The action plan needs to include the individual(s) responsible for completing each step and provide timelines for completing the subtasks as well as the overall objective. Whether the action plan is highly detailed or painted in broad strokes, it is important that the steps be clearly stated and the responsibilities of all involved well understood. In addition, an individual (or individuals) should be assigned the task of ensuring that those working on the action plan are accountable to the plan, timelines, and group as a whole. Completing the action plan marks the conclusion of the formal strategy session. As soon as possible after the meeting, the facilitator should produce a document that identifies the goals and describes the action plan and the various individuals responsible for implementing and overseeing its parts. The document should be sent to everyone who attended the session as well as others who were not there, including board members and other radiologists. Too often, strategic plans gather dust on the shelf because of a lack of committed follow-through. Therefore, the plan requires that the group revisit the goals and progress for achieving them monthly at regular group and/or board meetings. This keeps the goals on group members’ radar, assesses progress, and provides good opportunities to deal with unforeseen challenges or roadblocks. Properly conceived and executed, annual strategic planning sessions offer a powerful tool for both assessing a practice’s current state and making key judgments about its future direction. By stepping away from the whirlwind of daily activity, radiologists can better apply their collective intelligence and experience to develop realistic goals critical to the practice’s long-term success. — Chip Anderson, CPA, currently serves as a director of practice management for the west region for CBIZ MMP. He has multiple years of experience in financial management, strategic planning, and client service.